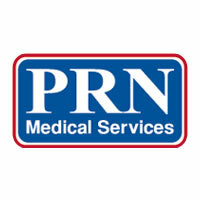 According to a breach report issued to the Department of Health and Human Services’ Office for Civil Rights, PRN Medical Services, LLC – under the name Symbius Medical LLC – has suffered a HIPAA breach after five members of staff were identified as having accessed and stolen confidential and private records. The staff in question were former sales representatives and Symbius believes that the information was intended to be used, and may still be, to contact patients to attempt to sell them medical supplies. The data is not believed to have been taken for the purposes of committing medical or financial fraud, and is instead a case of sales representatives taking contacts with them when they change employer. That said, this is theft of PHI and the persons responsible could be charged with unauthorized access of PHI, and could face time in jail for taking protected data with the intent of using it for personal gain. The breach notice advises patients that actions have been, and continue to be, taken to prevent the use of the data. Symbius has obtained a court injunction against the individuals concerned to stop them from using the data, and has ordered them – and any other competitors – to return the information. Patients have also been advised that Symbius is revising its policies and procedures to improve data security to prevent incidents such as this from occurring in the future. The company is intending to improve administrative, physical and technical safeguards to ensure that PHI is better protected. There may be a risk of receiving sales calls or contact through the mail as a result of the data breach, although it is unlikely that any fraudulent activity will take place. However, individuals receiving a breach notice are being advised to take up the company’s offer of a year of credit monitoring services through Lifelock to ensure that if fraud does occur, it will be identified quickly and damage will be prevented.